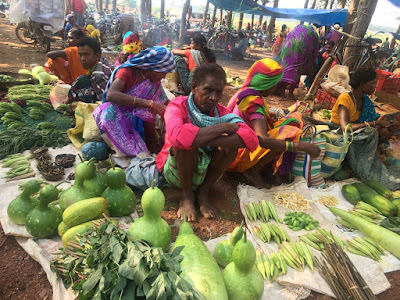 Today, I am going to talk about a traditional herb and tribal food of Bastar that is available in the market in our region and that is being sold like hot cakes across the district. 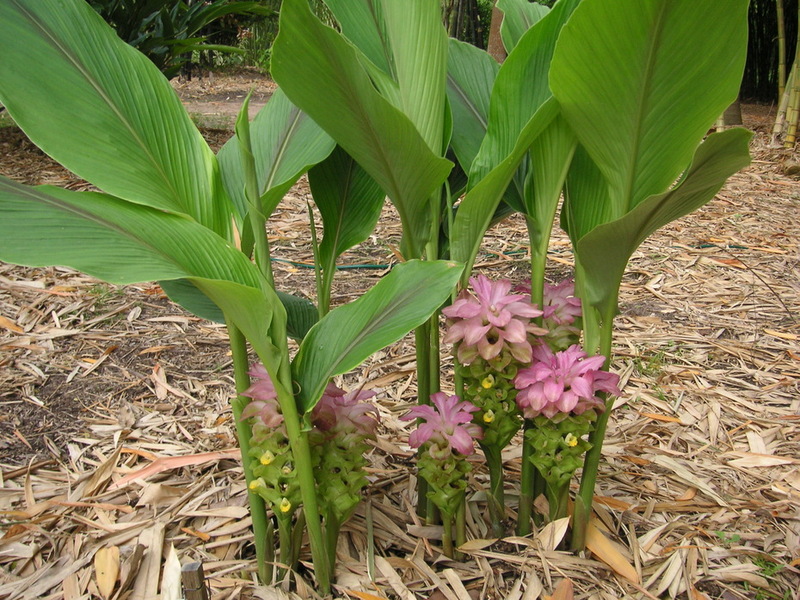 It belongs to the ginger family which is popularly known as TIKHUR here (East India Arrowroot). It has got many medicinal values too. I express my gratitude to the facebook page called Bastar Bushan for the information about the plants that produce arrowroot. It is given in the form of jelly with lemon juice. The people in the region take it making a syrup/potion or cake-like substance during fast that is said to provide respite in summer. Let’s take a look at a few its utilities as medicinal herbs. · It is taken as non-irritating diet during the convalescence from fever and other chronic diseases. · It is less liable to become acid in the stomach and is preferred to supply infants in place of breast-milk. · It is good for stomach related ailments and it provides respite in constipation. Tikhur is popularly known here as Bathari which belongs to the ginger family and grown in the root of it like a tuber. 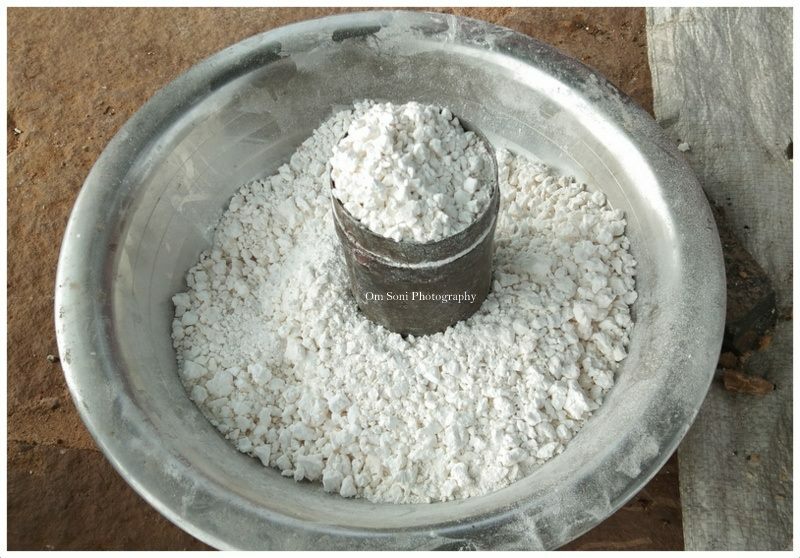 The villagers turn it into a powder after they grind it hard with a stone. That’s what is sold in the local heat market as tikhur. The cost of it varies season to season. Now it is being sold at Rs. 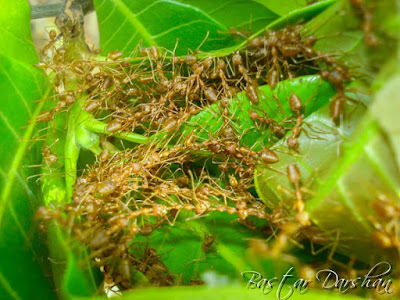 160 kilograms at the market and the villagers put them in a small number of plates made of leaves which is Rs. 40 per plate. Let’s take a look at other food habits of tribal that is being served and tasted with relish here. ‘chila’ holds a prominent place among them not only in Bastar but also in Chhattisgarh. 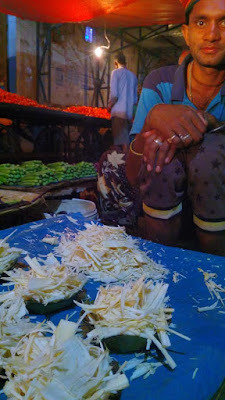 The ubiquitous ‘chila’ is served with a chutney (sauce ) of green chillies and tomato. The absence of coconut marks the difference from its southern counterpart. It is made up of rice, wheat and ragi floor. The next is ‘bhaji’. 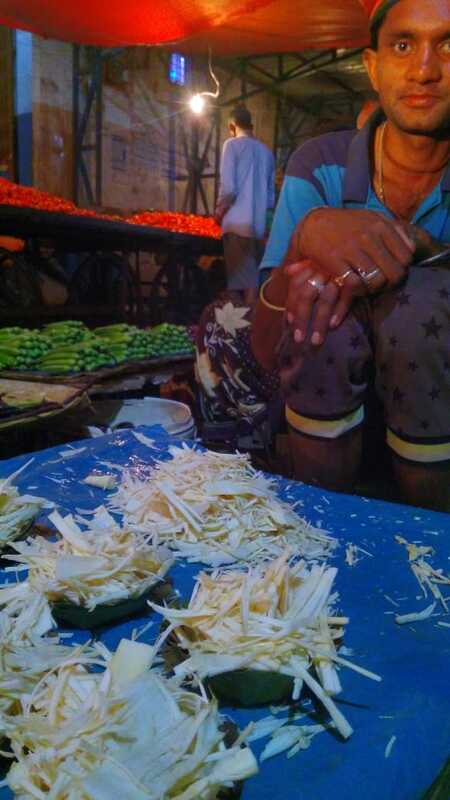 it is the name given to most all preparations made with fresh vegetables that abound in the state. Bhaji can be prepared from creepers, shrubs, roots and plants that grow in Bastar. Bhajis with a name like teenpaniya, karmata and chunchuniya, Charota are cooked in much the same way. Lotus stems are a speciality. It is another kind of tribal food of Bastar. The lotus flower itself is treasured for its seed box that is a huge bulbous growth and is used as a fruit. The lotus leaf that floats so elegantly on the surface is often used as a plate. 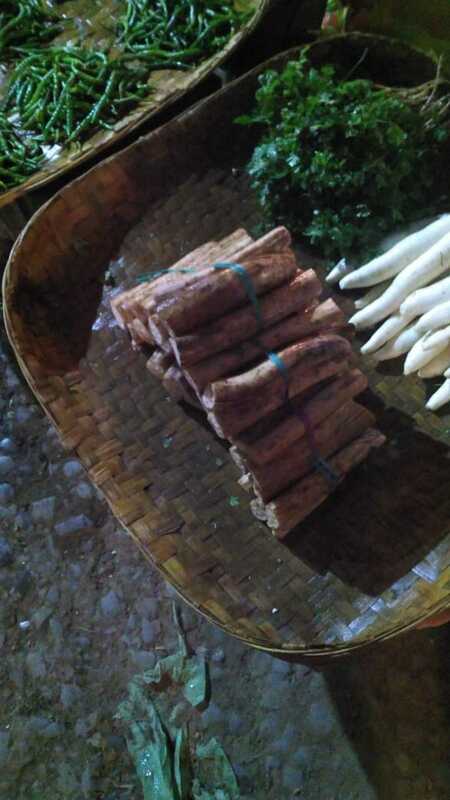 However, it is the tendu leaf that is mostly made into a pattal (plate made up of leaf) by pinning together a couple of them with sort bamboo sticks to serve as plates for most occasions and meals. Most bhajis are prepared in the ‘batki or copper and bronze pot that sits on the fire in the kitchen. Brinjal, bari or the dried forms of mixed paste of different vegetables, moonga or a bean like leafy stem and the omnipresent ‘tuma’ or gourd are commonly cooked and served during meals. The ‘tumba’ has a special relevance in folklore. One tale describes the ‘tumba’ as Noah’s Ark-like receptacle which had floated on the waters with the first created man and woman in it. The dessert called Kheer Suhari, or kheer and pooris, is supposed to be a special dish and if it is served to you in a home, please realize you are very special to your host. Tribal areas have much larger meat-eating population. Since hunting animals is banned, the people there have settled for fowl, goat and pork. The cow is a sacred animal even with the tribals and there is hardly any tribe that will endorse beef as food. Animal sacrifice is allowed in the Danteshwari temple and some other temples depending on local religious sensitivities. Lately, this practice has also come down and many settle to go through the sacrifice ritual with common ‘kaddu’, tumba’ or rakiya’. Having remained distant from the media glare, tribal fife spawned many myths. Fortunately, there is now a better understanding and respect for indigenous and ancient customs of the people. Their intermingling with a population in the plains has also brought about changes in their tastes and habits.